Legendary gambler Archie Karas has been added to the Nevada Gaming Commission’s List of Excluded Persons, following the latest in a two-decades-long streak of casino-cheating episodes in California and Nevada. Karas, whose full legal name is Anargyros N. Karabourniotis, was added to the list on Thursday as one of several items being considered during the NGC’s monthly meeting regarding various gaming matters, The Las Vegas Review-Journal was the first outlet to report that Karas had been added to the NGC’s excluded-players list, which had not been updated at last check. The 86’ing of Karas amounts to a lifetime ban, and comes after the latest cheating scrape involving the legendary gambler, which actually occurred at the San Diego-area Barona casino in 2013. Karas received three years’ probation for cheating at blackjack, and was added soon after to California’s excluded-players list as well. Karas had a long track record of casino-cheating transgressions, including four previous arrests in casinos scattered around Nevada, generally for the “subtle” marking of cards. 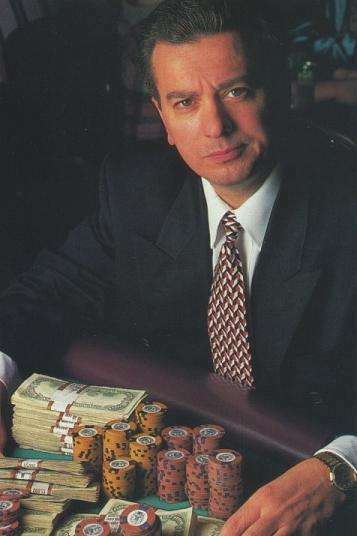 The cheating episodes have also called into question whether or not the legendary streak of luck that found Karas winning at least $17 million (some versions of the story claim $40 million) in Vegas casinos in the early ’90s was actually “luck” at all, or whether it was just a prominent example of card-marking done in a matter too sophisticcated for the casinos to catch. Karas was also alleged to have perfected a method of dice “scooting” at the craps tables, to help shoot a pre-selected number. Karas’s legendary rise and fall in the early ’90s, known simply as “The Run,” saw him arrive in Vegas with a $50 stake, then build it up over the course of a couple of years. Karas also played nosebleed poker matchups against some of the game’s biggest names, claiming to this writer back in 2009 that except for a bad outing against Johnny Chan, he never lost to any of them, including such Hall of Famers as Doyle Brunson, Puggy Pearson, Johnny Moss and Chip Reese. Archie Karas in the early ’90s, when life was good. Karas was also an exceptional pool player, hustling games against the best pool shooters in California and Lss Vegas. Karas traveled the scene with a satchel of cash in the trunk of his car, shooting pool matches with as much as $100,000 on the line, allegedly playing against sharks such as poker-pro-turned-casino-exec Bobby Baldwin. Baldwin was alleged to have dropped at least $2 million to Karas at pool and poker combined. Karas lived the high life in Vegas from late 1992 to the end of 1994 or thereabouts, when his luck began to turn. In another year or so, under the increased scrutiny of casino execs and pit bosses, he’d given all those millions back. What he never lost was his gamble, and Archie’s was always so high that the string of scrapes that followed was inevitable. Karas was first arrested at the Flamingo in Reno for card-marking, then in 1992 at the River Palms in Laughlin, NV, for unspecified cheating. Karas was arrested twice more in Nevada casinos, in 1996 and 2002, before running into the scrape in the southern California Barona casino a few years back. Karas accepted plea deals on each occasion which allowed him to avoid Nevada’s dreaded “black book” for many years. Karas’s gambling exploits were the basis of a solid feature published in Cigar Aficianado several years back, which remains recommended reading. 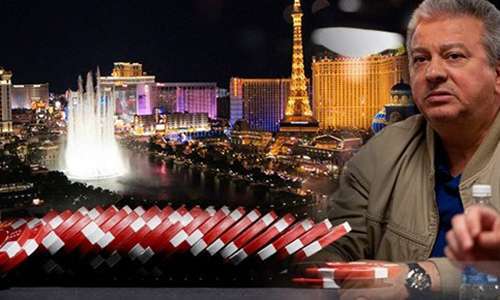 One-time PokerNews contributor Tom Sexton borrowed heavily from the Cigar Aficianado piece in assembling his own series of pieces on Karas in 2008. Karas was friends with the Sextons, both the now-deceased Tom and his more famous brother Mike, and Mike is believed to have been the source of a staking arrangement with Karas that allowed Karas to return to the poker tables — including the WSOP — beginning in 2008 and lasting for a handful of years. When Karas later filed for bankruptcy, the paperwork showed that Tom Sexton had even provided Karas with a car, yet another example of the “help a gambler in need” largesse for which both of the Sexton boys were known. Karas had one score in that 2008 and two more the following year, including a nice $54,000 cash in an ’09 event. Karas cashed as recently as 2013, though that will likely be his last WSOP-event entry. Even at the WSOP, his accusers dogged him. In 2008, several people at his table in a razz event pointed out marked cards, casting their general aspersions Karas’s way. Karas personally denied those allegations to me when I spoke to him that summer, claiming some other player had done the marking, though no one was ever officially tagged as the cheater in that episode. The Archie Karas I met that summer was a quiet older man, living on affordable meals (the Gold Coast buffet, for instance), still trying to hustle his way back to the top. Gone was the flashy gambling high-roller of the Cigar Aficianado tales, though the core hustler, the guy searching for an edge, legal or not, was still there.